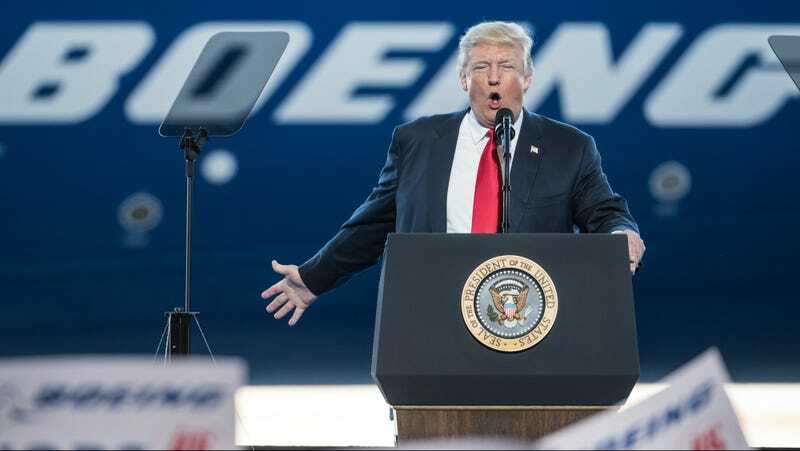 Today, Donald Trump took a break from screaming at random reporters to tour Boeing’s 787 Dreamliner. That’s despite the fact that he tweeted (as, regrettably, he so often does) about never flying on the plane. Well, okay, Trump wasn’t wrong about the Dreamliner having issues with lithium ion batteries. Strangely, however, none of that concern was on display today. This isn’t the only time Trump has had beef with Boeing, either. Late last year, Trump bitched and moaned on Twitter about the company’s plan to upgrade Air Force One. I guess Trump has come around. “God bless Boeing,” Trump said.